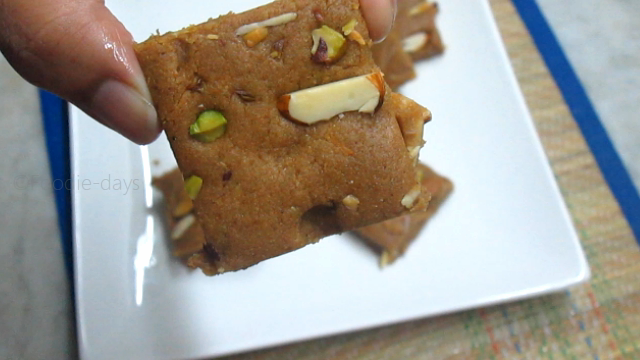 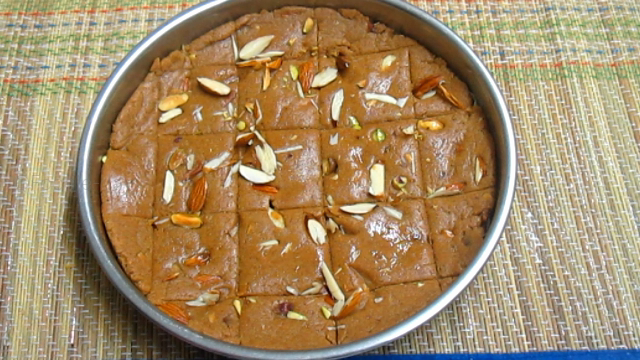 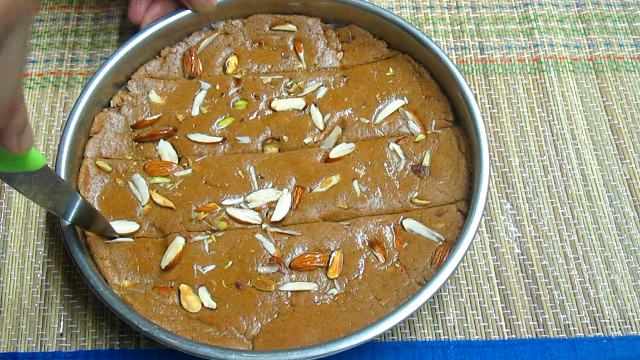 Hello, there today I am sharing a simple popular sweet recipe burfi(gur papdi). 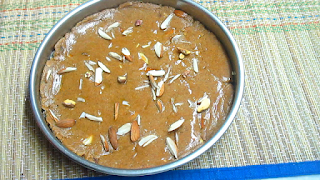 I made this burfi using Nutri mix powder. 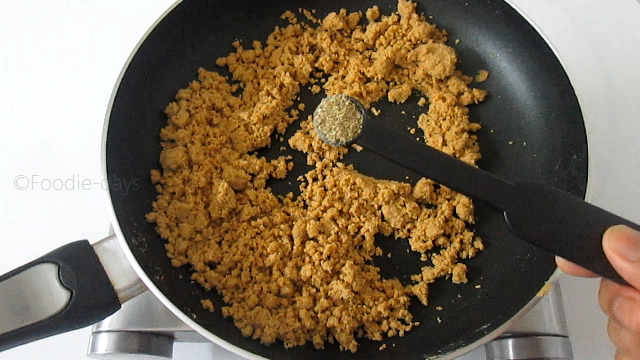 The Amrutham Podi/ Nutrimix Powder is a health supplement provided by Kudumbasree that is aimed to satisfy nutritional requirements of the children of Kerala(India) between the ages of six months and three years.It operates under the Take Home Ration Strategy which is a feeding programme through Anganwadis, and the Nutrimix is distributed in the form of Take-Home-Ration. I also did a youtube video for this recipe. You can check the video on my youtube channel and also here. 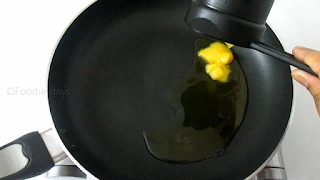 In pan heat ghee over a medium-low flame. To this add nutri mix powder and roast for few minutes. 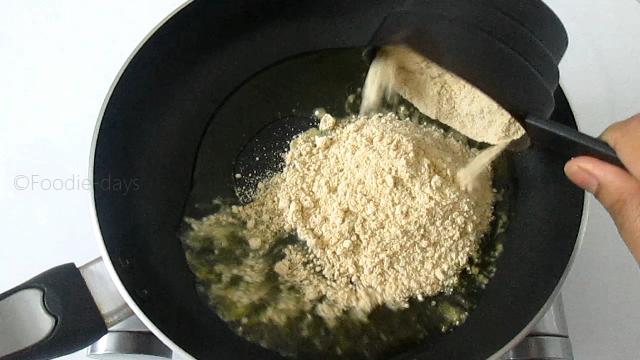 Keep stirring until you get a nice toasted aroma. 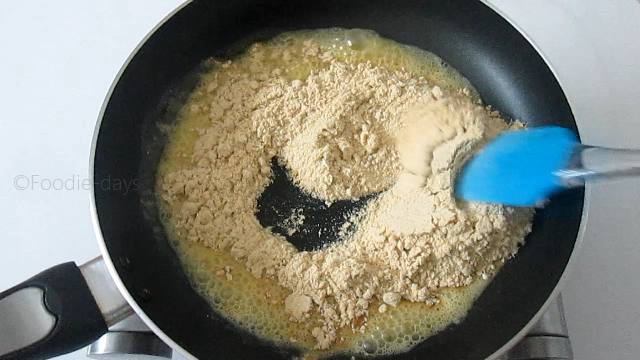 When it starts changes color or it turns aromatic, add cardamom powder to it and mix well. Make sure that you do not burn powder. 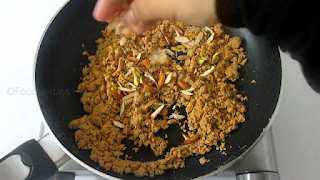 Add few almonds and pistachios chopped to this and again mix well. 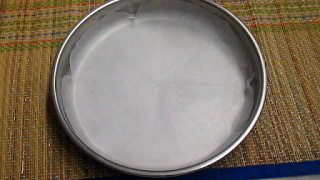 Prepare a greased plate line with baking paper. 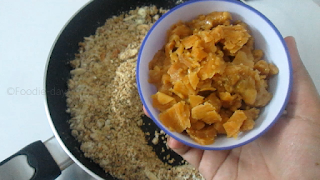 Now add jaggery to the burfi mix. 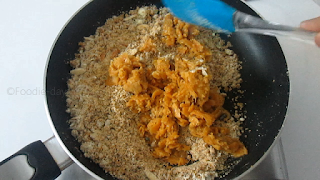 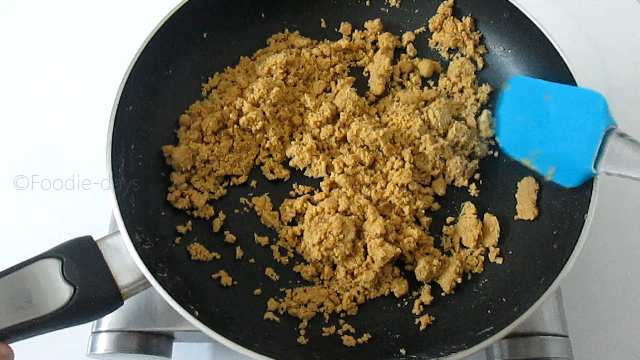 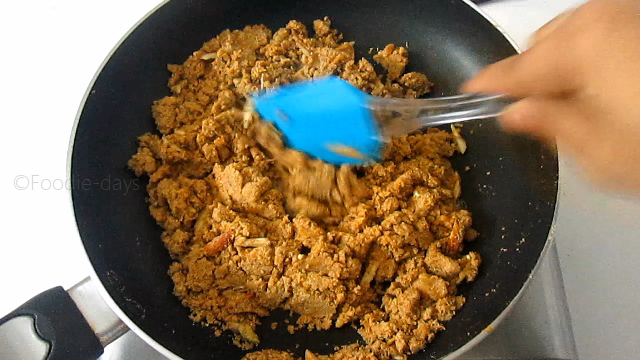 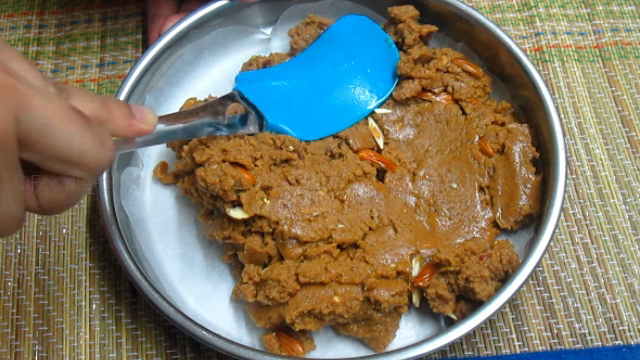 Mix it well till the jaggery melts and well combined with the powder. 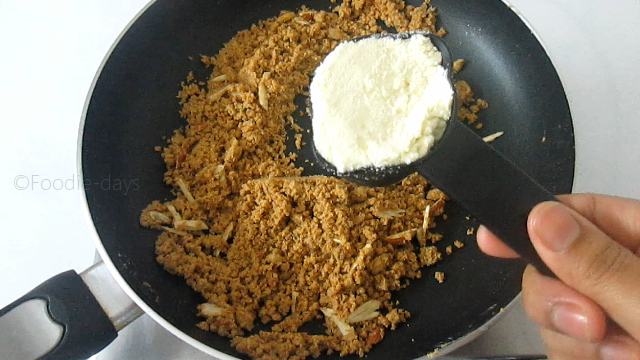 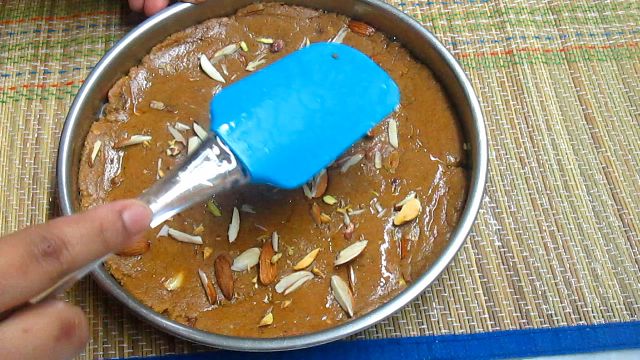 Transfer the barfi mix to the prepared greased plate. Press it well and spread evenly. Spread some chopped almonds and pistachios and press it gently. Now mark the barfi with a knife and set aside for cooling. After cooling separate it into pieces and serve..
colour changed and turn aromatic. Mix well.turn off the heat. 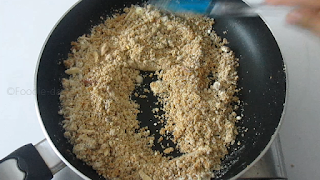 grease a plate with ghee or line with baking paper. 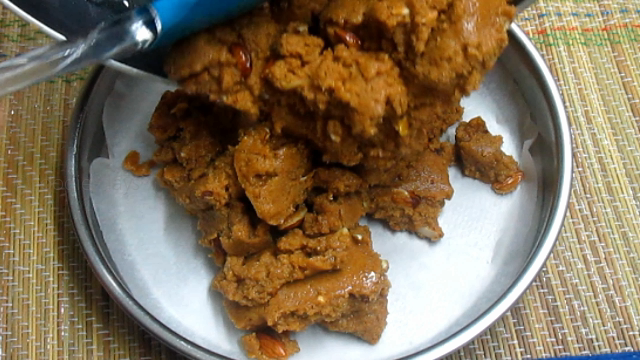 jaggery melts..Now it is ready.